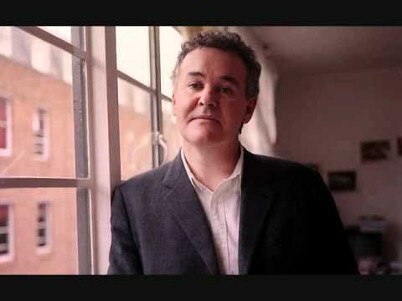 This is the last of a series of essays on Adam Curtis’s essay series All Watched Over by Machines of Loving Grace, which you can watch for free here. I previously wrote about the series here and here. One of Curtis’s most distinctive traits as a storyteller is to introduce all his subjects, whether they’re living or dead, as though they were fictional characters. “Our story begins...” he likes to say, a variation on “once upon a time.” Even when he’s talking about Ayn Rand (as he does in part one of All Watched Over by Machines of Loving Grace) or Richard Dawkins (as he does in part three), Curtis makes them sound as though they lived long ago and far away. His voice sounds wry, erudite, detached: I can readily imagine him narrating a series about ancient Rome. As Curtis makes the present seem like a distant era, he raises questions of the present that one might ask of societies of the past. How was this civilization organized? What did its people believe in? What did they aspire to? Curtis raises this final question implicitly, by describing popular concepts (Rand’s philosophy of radical individualism, ecosystem science, etc.) as if they were religious or foundational myths—keys for helping people understand the world. Curtis encourages skepticism about their infallibility, usually ending his stories-of-ideas with an example of how the concept failed its own creators. For instance, Ayn Rand created blueprints for personal happiness but ended her life sad and alone; Alan Greenspan was convinced that deregulated economics were a godsend in the early 90s, then left several nations bankrupt by applying this very model; and the decentralized rebellions in Kyrgyzstan and Ukraine, facilitated by the new media of Twitter and Facebook, had no plan for how to reorganize the political structures they’d dismantled. For all of Curtis’s skepticism, there remains an underlying optimism to his work. As Thomas Pynchon has noted of Orwell’s narration in 1984, Curtis’s use of the (distant) past tense suggests he’s recounting this terrible period of history after it's happened. Implicit in this stance is the belief that humanity will continue to evolve in spite of any momentary crisis it may face. Hence the images of people dancing that close each episode of the All Watched Over: no matter what, people will keep on moving. It’s worth noting that Curtis reserves his strongest contempt in the series for ideas that stifle thoughts of social progress. As he describes them, Rand’s objectivism put personal happiness at the center of its worldview but disregarded the needs of society; while the we’re-all-in-it-together thinking inspired by Buckminster Fuller’s “Spaceship Earth” sought only the stable maintenance of preexisting orders. That these ideas basically cancel each other out is just one of the dizzying paradoxes that Curtis constructs in All Watched Over: it results in an unnerving characterization of the Internet—if not 21st century life on the whole—which seems to derive its ethos from both ideas in equal proportion. “Monkey in the Machine” returns several times to one of the most terrible episodes of modern history—the decades-long genocide in postcolonial Rwanda and Congo—considering the atrocities in terms of bad and good intentions that inspired them. Curtis exhumes the ugly history of Western mining companies’ support for the dictatorship of Mobutu Sese Seko and, later, mercenary armies that carried out his genocidal campaigns (this culminates with some of the most terrifying found footage of All Watched Over, a late-60s interview with a European mercenary who explains that he had no problem torturing and killing Africans because he considers them subhuman). Curtis also considers a more insidious source of the genocide: the myth created by a Belgian ethnographer that Tutsis were biologically superior to Hutus. Of all the stories about ideas that comprise the series, this is surely the most despairing. 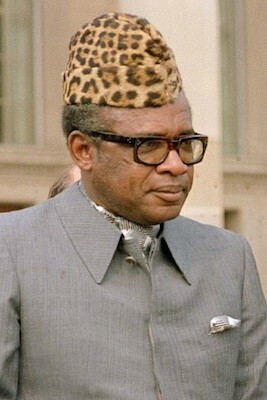 Belgian liberals, Curtis explains, tried to rectify this myth at the end of the colonial era by encouraging Hutus to turn against their Tutsi “masters” (even though, he notes, Hutus and Tutsis had coexisted peacefully for many years); but in doing so, they wielded the myth more destructively than the colonial administration ever did. The logic of [Hamilton’s] scientific theory led him to a small ruined town in the eastern Congo. He walked through the chaos, murder and looting, looking for evidence that Western medicine was dangerous and misguided. And all around him, the horrific consequences of the Rwandan conflict were being played out—consequences created not just by Western imperialism and greed, but also by the best and noblest of liberal ideals. Price’s work in genetic biology, we learn, drove him to madness. In the late 60s he converted to Christianity “in an extreme way,” giving nearly all his belongings to the homeless and reducing himself to poverty. Curtis poses that “he had been so shocked by the implication of his and Hamilton’s theory that he was, in some desperate, personal way, trying to disprove it.” He would eventually commit suicide in a painfully deliberate way that his biographer James Schwartz (a comforting, rabbi-like presence whose very human bluster seems a great relief after the run of ideologues who populate the rest of the series) describes as “taking control of his genetic destiny.” Price’s story warns us of the danger of valuing theoretical systems over real experience. Curtis depicts his last-ditch attempt to correct himself as the stuff of great tragedy—if not a lesson for the entire modern world.